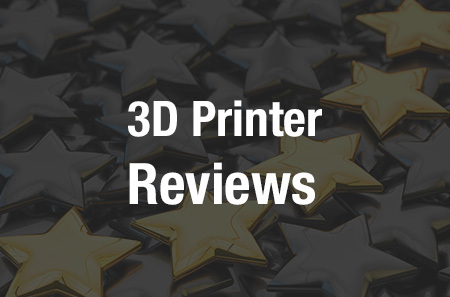 Ever since desktop 3D printers have been in existence, they have attracted a crowd of individuals who seemingly love to hack, modify, and innovate upon their machines. The open source movement has added fuel to a fire that continues to burn with enthusism and continual innovation. It seems as though every couple of weeks we see a new idea come about which enhances the 3D printing process in some way, shape or form. For one electrical engineer, named John Fuoco, problem solving is not something he is new to. In fact, he spends his day as a maintenance engineer where he diagnoses problems on CNC machines, which he then must come up with solutions for. That first 3D printer was a Bukobot kit and being the “tinkerer” he is, Fuoco modified that quite heavily as well. One such modification was the extension of the X-axis, which allowed him to create a dump area where the two extruders could prime and then come in contact with a silicon wiper blade before feeding over to the print bed. “It’s nice because you don’t have to run laps around the printed parts on the first layer in order to get the flow going,” he tells us. Fast forward to current time, and Fuoco recently purchased a FolgerTech kit, a delta-style 3D printer–which he actually learned about from reading an article here on 3DPrint.com. He wanted an affordable 3D printer, and there was just something about the FolgerTech 3D printer, and delta printers in general that he thought was really cool, so he decided to get himself one. Of course, being the hacker he is, he couldn’t simply leave this 3D printer alone either. As you can see in the video below, the bed leveling system seems to work quite well. This wasn’t the end of it for Fuoco when it came to hacking his FolgerTech 3D printer, though. He simply didn’t like how the filament would ooze out of the printer’s nozzle while it was running the bed leveling routine. By the time it was ready to print he had to waste about 500-1000mm of material just to prime the printer to begin a print. So this is exactly what he ended up doing. As you see in the video below, an innovative dump tray swings onto the build area, just a few millimeters above the platform, allowing the nozzle to be primed without having to print material onto the platform itself. While Fuoco makes this all seem rather simple, it wasn’t exactly a piece of cake. While the RAMPS board supports up to four servos, the firmware that FolgerTech supplies for download doesn’t have the latest servo changes that deactivate the servos when they are not in motion. This causes a lot of “servo twitch.” He solved this by downloading the latest version of Marlin firmware and then reconfigured it for the FolgerTech 3D printer. This ended up working very well. Best of all, you can duplicate Fuoco’s creation if you’d like, as he has made the 3D printable files available for download on Thingiverse. 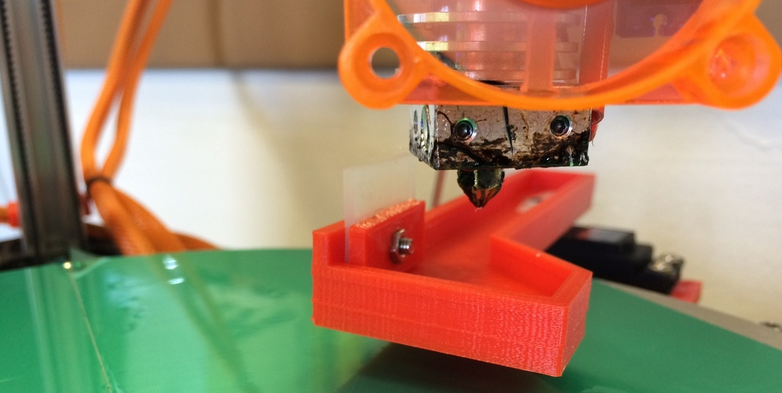 What do you think about these 3D printer hacks? Are they something you would like to have on your own 3D printer? 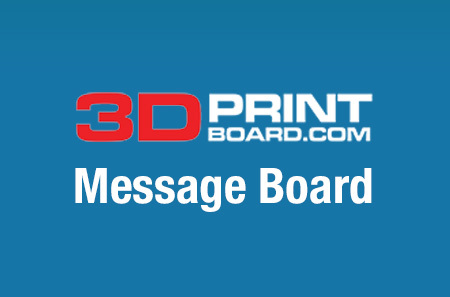 Discuss in the 3D Printer Hacks forum thread on 3DPB.com.